Apple’s(s aapl) iBeacon is already tracking where you are in Apple Stores in order to present a more personalized experience. It’s not the only game in town though. Qualcomm’s Gimbal Proxmity Beacons are now available for as low as $5 in quantity, the company announced on Monday. Currently a favorite vendor for chips in smartphones, Qualcomm’s(s qcom) Gimbal represents another product to keep the company powering mobile devices, smartwatches and just about any other Internet of Things connected gadget. The concept is exactly what Apple is trying to do in its stores — as is Macy’s, which has installed Apple’s iBeacon in some locations. With accurate in-store location data of customers, retailers know what section of the store potential buyers are in. It can then tailor ads, product information, even limited in-store product specials, to the most likely buyers of such products. The use of Bluetooth makes far more sense than other alternatives: NFC generally requires a customer action, such as tapping a phone to a tag, while GPS is pure overkill and not likely as accurate in some indoor locations. Before Bluetooth Smart, the Bluetooth wireless technology simply lacked either the range or used too much power to effectively be a detailed proximity location tool. Qualcomm’s Gimbal product, which combines “physical location, activity, time and personal interests” currently supports iOS devices for now but the company says Android support is planned. This past January, I got a demo of how Gimbal can be used in other unique ways, such as the launch of a new Star Trek movie. Qualcomm can’t beam you up just yet, but it can provide computers with your exact location. Huge potential for overuse to the annoyance of the customer. For retailers, this technology need to to used carefully with a lot of testing / focus groups. The gimbals are not compatible with the iBeacon protocol and use encryption to force you to use the qualcomm cloud solution. iSign Media has better technology. It seems like it might be odd for a user to have to accept GIMBAL is gathering all my data on an app for lets say target . Who owns the data gimbal is collecting target , the agency building the app gimbal???.. Seems like passbook and ibeacon are a way easier way to go plus no cost other than an apple developer account . Android already supports standard iBeacons. Radius Networks has developed an Android iBeacon LIbrary, and has an iBeacon Locate app in the Google Play store that demonstrates the same capabilities that are available on iOS. User enters somewhere, unlocks smartphone, go to devices page, sees all local Devices there, and those in his house too. Clicks Device icon, Device acts as a web server, and sends web page(Device UI), user interacts with Device. User can save this Device, this kind of Device, for future interactions – when not in range. Kevin – sorry, but this article is filled with factual or interpretive errors. C. Apple doesn’t MAKE beacons and so it doesn’t compete with Gimbal. Apple make phones and tablets which can BE beacons, but retailers aren’t putting iPhones up on their walls, they’re putting Estimotes or whatever. D Macy’s did NOT install iBeacon – iBeacon is a software framework, it’s not a physical thing. 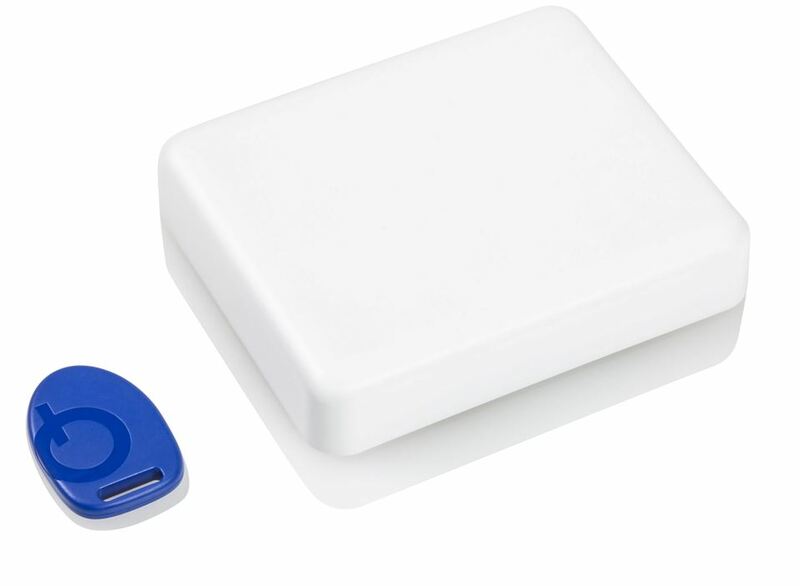 Beacons are devices (like Estimote or Gimbal) that use the Bluetooth LE standard, iBeacon is the Apple API that allows Apple devices to connect to those beacons. Also – no, Apple doesn’t track you in their stores unless you give permission, and beacons can’t track in any case – they’re BEACONS not data collection units or something. Your APP might track stuff, but beacons are transmitters. Sorry – it’s just that the terms are confusing enough as it is and this post muddies the waters more in my opinion. Interesting offering and price. However, from looking at their website Qualcomm has made it over complicated. You have to connect to their cloud to use a Gimbal. The service appears to be free today but my fear is that they will start charging a monthly fee to access it. Also by using them I would be tied to their ecosystem. In my opinion all the Bluetooth LE “beacons” need to be cross compatible. There is a danger in a company developing for just one manufacture. What happens if that manufacture no longer decides to produce the beacons? Then you have to purchase all new ones and redevelop your app. Also one should consider that they could start charging for the cloud service. I have no problem paying for something that I need to use as a developer but I would hate to develop an app based on Gimbal just to find out later that I can’t afford to run it. The iBeacon protocol basically just sends out a string of characters to your device. The app then decodes the string and does something with it. You don’t need something as complex as Gimbal to run it. As an independent developer I will likely stay away from Gimbals and use a stand alone product. The other platforms like Estimote are a little more expensive but you don’t run the risk of suddenly being charged for its use. So, the beacons are the razor to the user costs razor blade. So the investment/return decision is: how big will your app be and does it cost more to develop the cloud services they offer than it is to ‘rent’ them from Gimbal? If you’re running a small app in a retail store, why build all the stuff they put at the back end? They have a very robust back-end service – something that would cost thousands if not tens of thousands to develop yourself. But it IS basically free if you have under 10,000 users – small retailers say. But what’s unclear is whether you can get the UUID and other info on the beacons themselves and NOT use the cloud services. But then – Estimote has been unclear about this too. They have not equivocally stated whether you’ll have access to the UUID without their ‘cloud’ so in theory you might run into the same problems with Estimote, unless you’re OK not changing the UUID or flipping it to private mode. On further exploration it looks like you can access the Gimbal beacon in the same way as Estimote – by bypassing their SDK and using the ‘clean’ UUID rather than the cloud service component. So in theory, they operate in the exact same way as Estimote – with the cloud being optional. But as you note – both of them might turn that capacity off and then you’re “stuck” in their cloud, whether Estimote or Gimbal. Doug, thank you for this comment! You’ve single handedly and in such a concise manner, explained information which was confusing me for months! I like how the video keeps showing us fake iOS and even a glimpse of Android running on an iPhone. They would’ve been better served making their demo look authentic, it takes away from their message. Michael Raiwet – if you don’t like what going on – go and look at something you like as opposed to bitching. I am glad you don’t work for me, it would be a touch slog. It would be smarter to use this technology as a way to save energy, such as turning off lights when no one is in that section of the store, or to adjust heating and cooling system. I completely agree that it’s another great use case; I don’t find it absurd at all. We recently spoke about just that idea on our recent IoT podcast, in fact. But Kevin, what about people who don’t have the particular store app installed, or don’t have their smartphone with them for whatever reason. If we really want this, can we not use the same motion technologies that are already widely used? I don’t quite understand. I want this tech in my home automation system. I wouldn’t install it if I didn’t have a mobile device that supported it. And it should never replace manual tech of light switches; we should always have that control. Motion tech is far from ideal in this case. Even with cameras in every room, it’s more complicated because complex algorithms are needed to detect particular individuals from pets, etc… it requires far more “brute force” than needed. A simple wireless beacon on one’s person is simple and effective. Well I completely agree when it comes to home automation, that would be incredible. Actually – we’re already seeing some pretty amazing examples that replace the light switch entirely. Also seeing Bluetooth LE in the actual light bulb along with projection systems and WiFi…energy savings from this kind of stuff are already an amazing use case. Checkout Zuli smart plugs on kickstarter. They are leveraging Bluetooth LE. Really? Light Switch is like holding cup of coffee. I’m not sure if even brain is involved at all during switching lights. All other methods are just more effort(when in close proximity to switch).